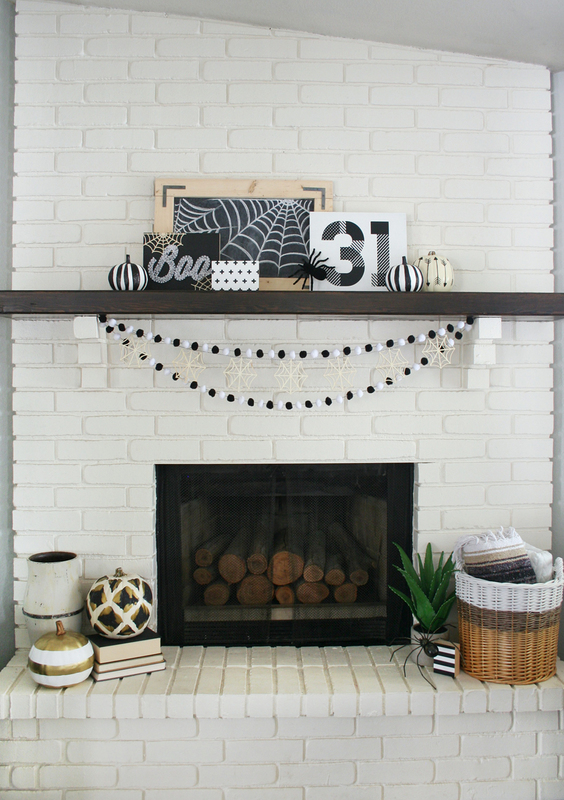 I know it’s been a whole two weeks since I showed you my new Black & White Mantel Decor featuring some awesome pops of plaid, but can you believe I’ve decorated it again since then?! 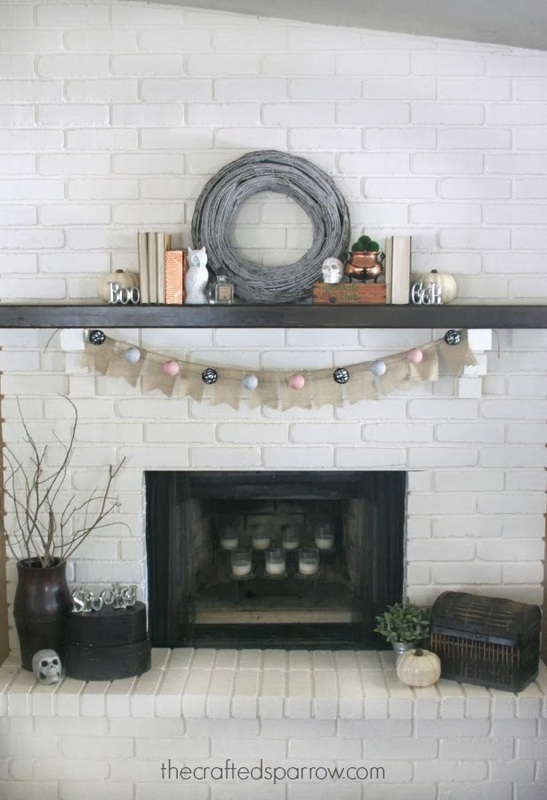 Yes, the mantel will go back to the new Black & White Mantel Decor soon, but my kids were asking why I hadn’t decorated for Halloween this year so I felt the urge to throw something together for them. 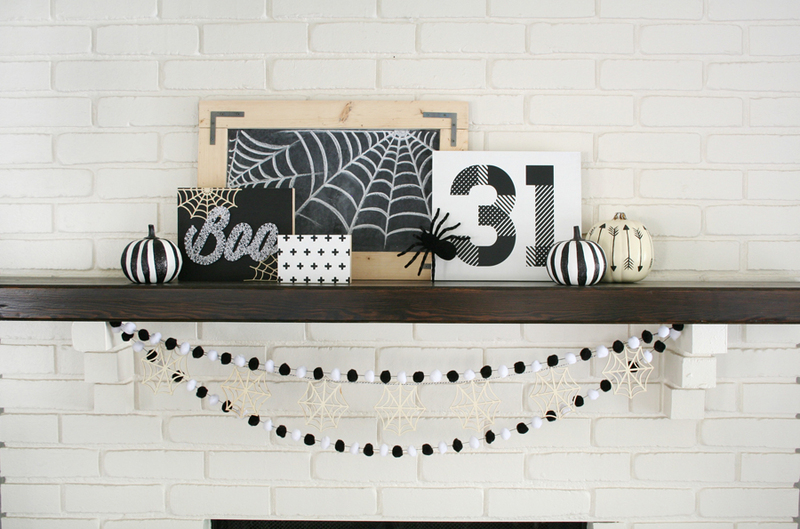 I love how my Black & White Halloween Mantel turned out. 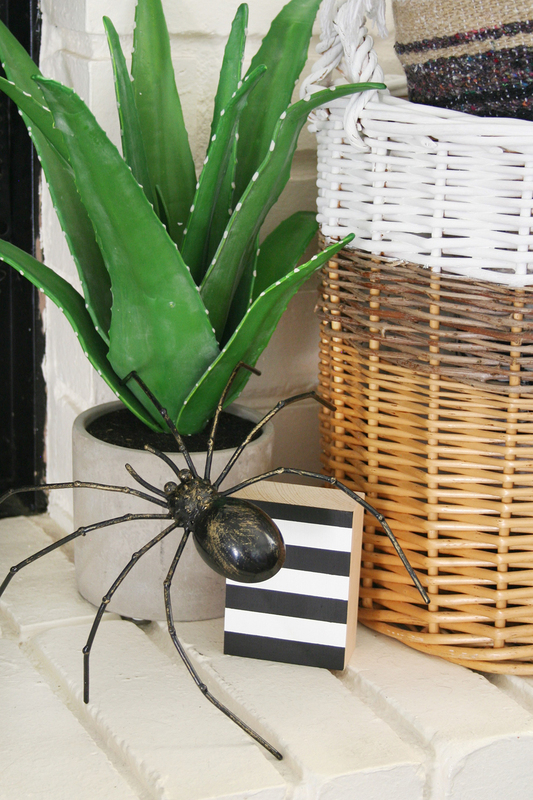 You all know by now I’m obsessed with black & white decor, it’s just so good. 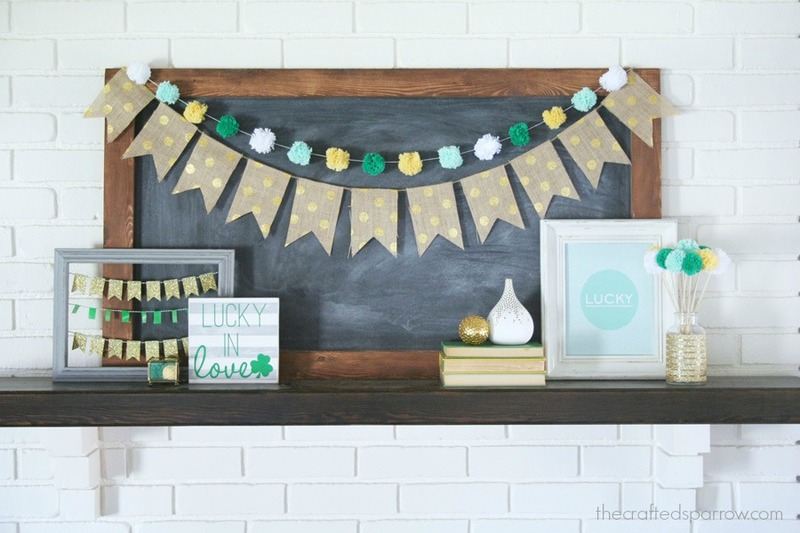 Plus, it’s super easy to throw a pop of color in if I’m feeling the need to. 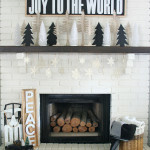 I didn’t really have an overall theme to this mantel except the black & white decor. 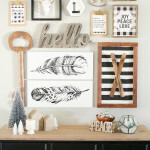 Although, I did want it have some graphic patterns and the wood tones thrown in. 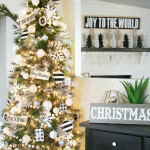 Most of this decor I had already in the house, I love when I can shop my decor to put something new together. 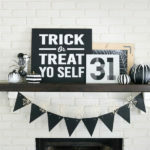 I did pick up the black & white striped pumpkins and gold & white striped pumpkin from Target. 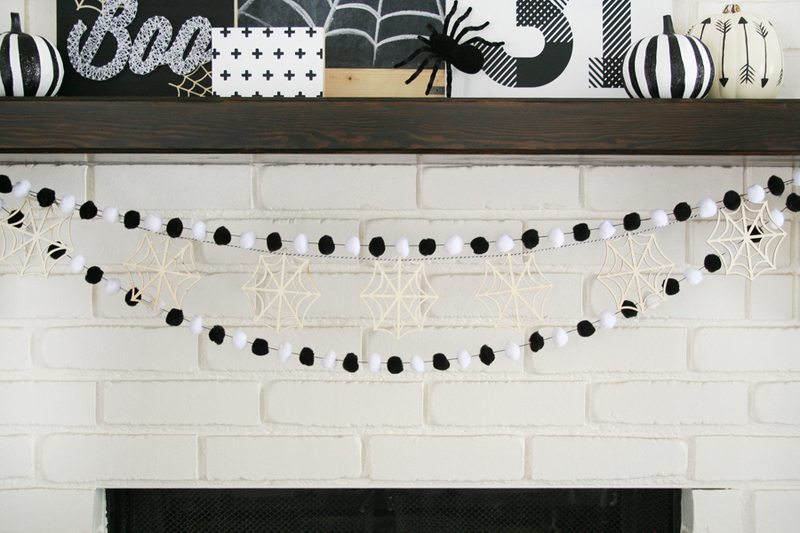 The fun black & white pom-pom garland I made using some pom-poms from Michaels. I just strung them on some black embroidery thread. 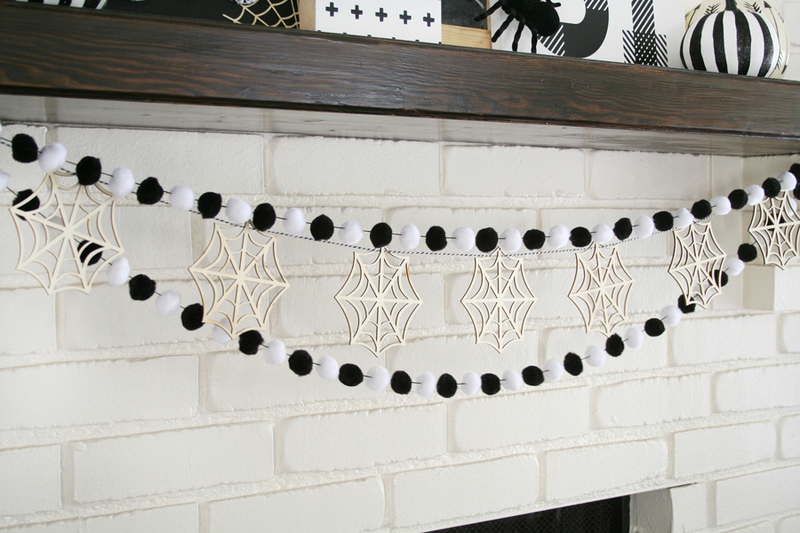 The cute wood spiderweb garland is from Michaels as well, I found it in their unfinished Halloween decor section. I strung it on some black & white bakers twine. 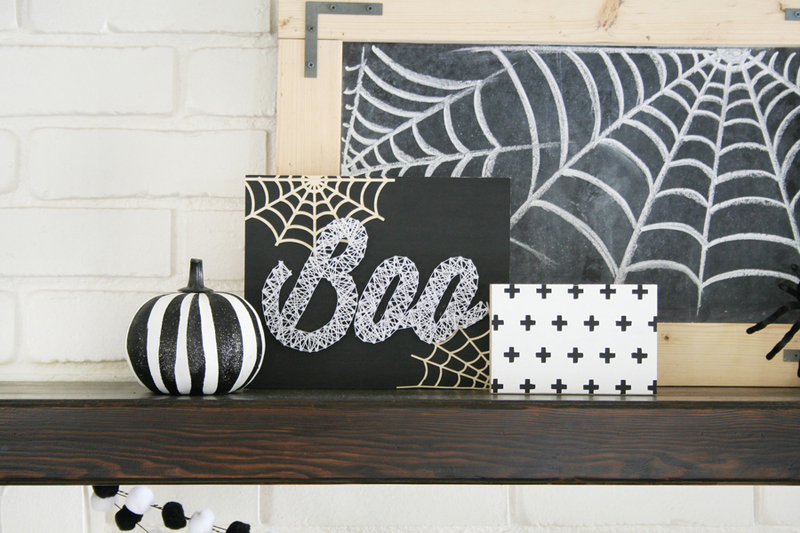 The Halloween String Art was a project I shared a few weeks back, you can find it HERE. 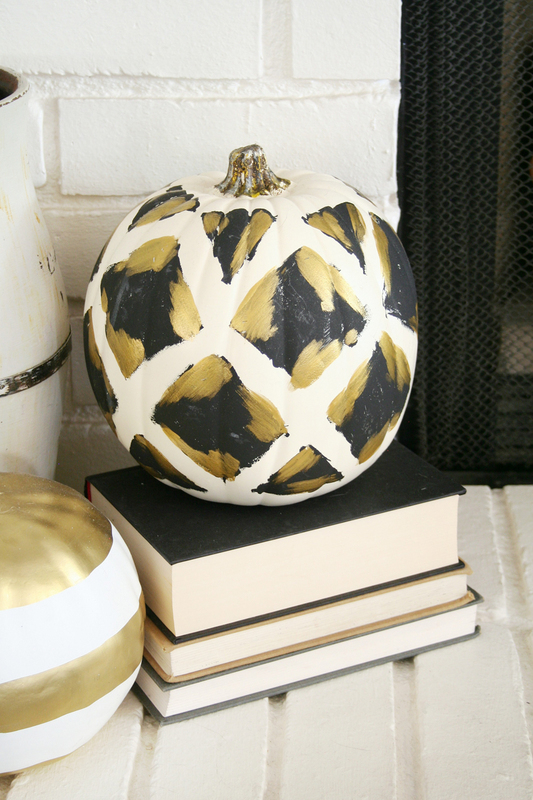 Mixed with the striped pumpkin and swiss cross wood block it’s the perfect combo. 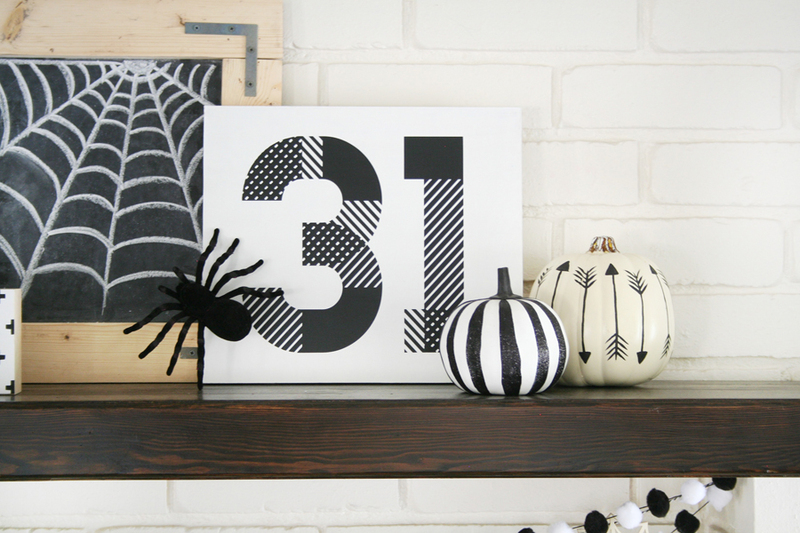 I don’t have a tutorial for this fun “31” sign, but it’s so simple to recreate. I had a piece of MDF board on hand and gave it a quick coat of white chalky finish paint. I then used my Cricut Explore to cut a vinyl decal. The font I used is Homestead, it’s one of my new favorites. 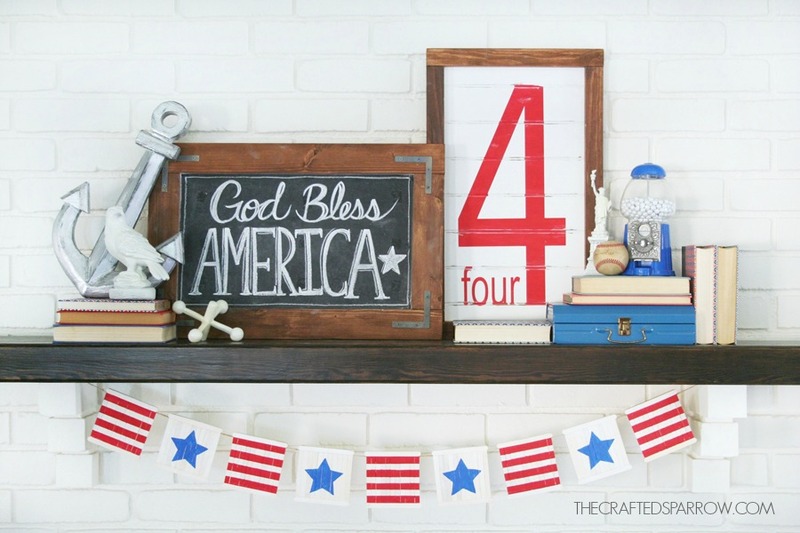 I just applied the decal and voila, a cute sign perfect for my decor. The cute arrow pumpkin and the one in the next photo are my Tribal Inspired Pumpkins from last Fall, you can find them HERE. 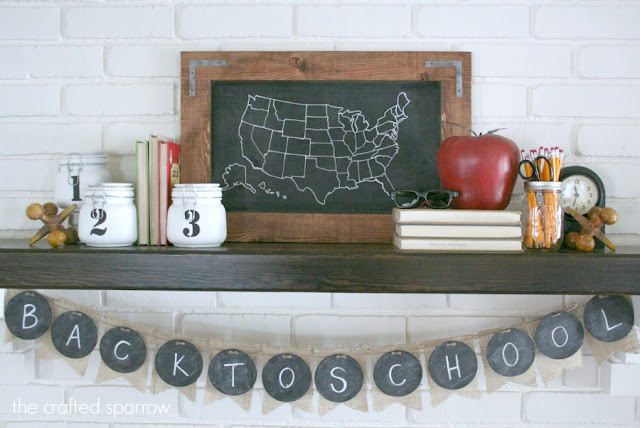 The chalkboard was a project I made a couple years ago, I love it so much and use it all the time. You can find the tutorial for it HERE. 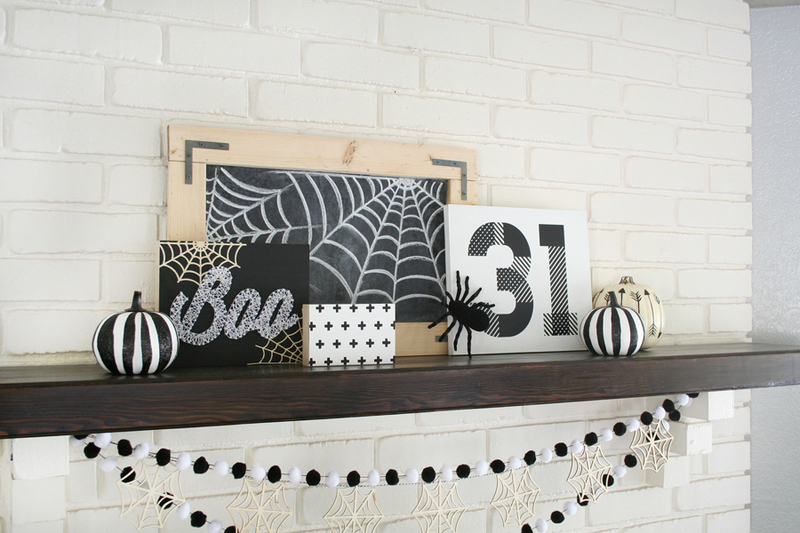 I actually recreated a raw wood version a while back, it worked perfectly on this mantel with some spiderwebs quickly drawn on. 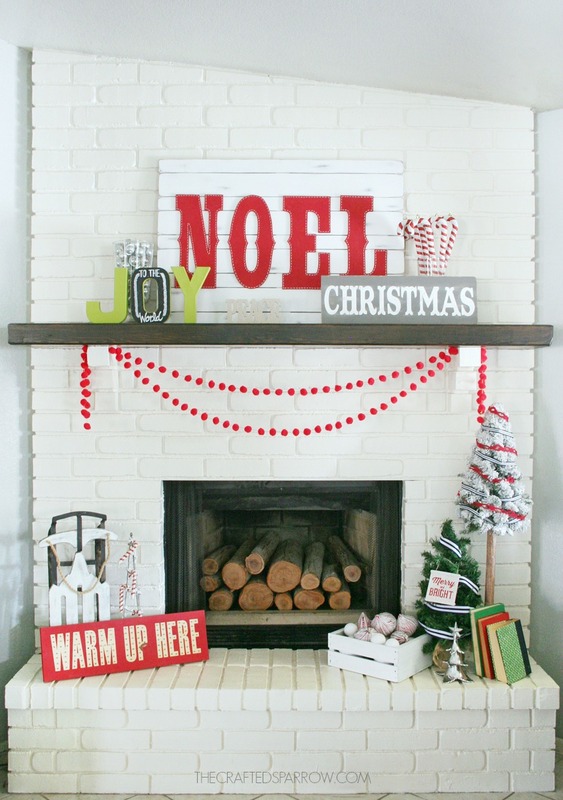 I love how this mantel turned out. Simple, but so fun! DISCLOSURE | This post may contain affiliate links. 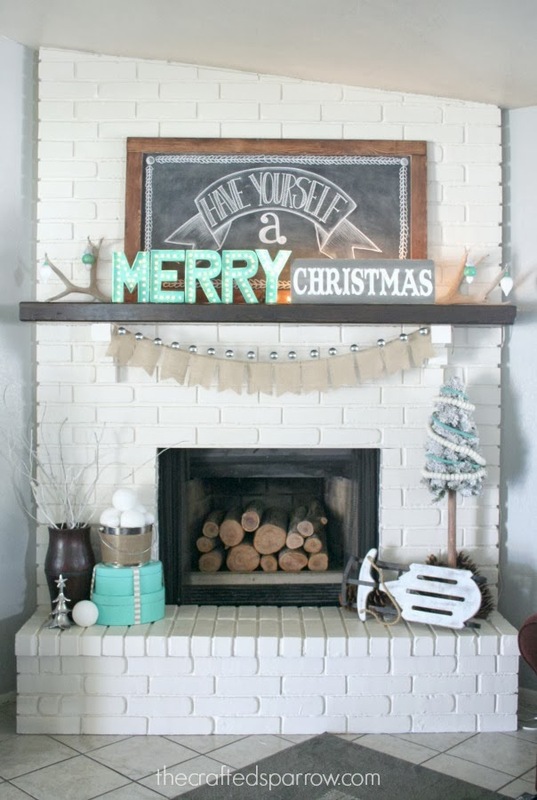 Love this mantel! 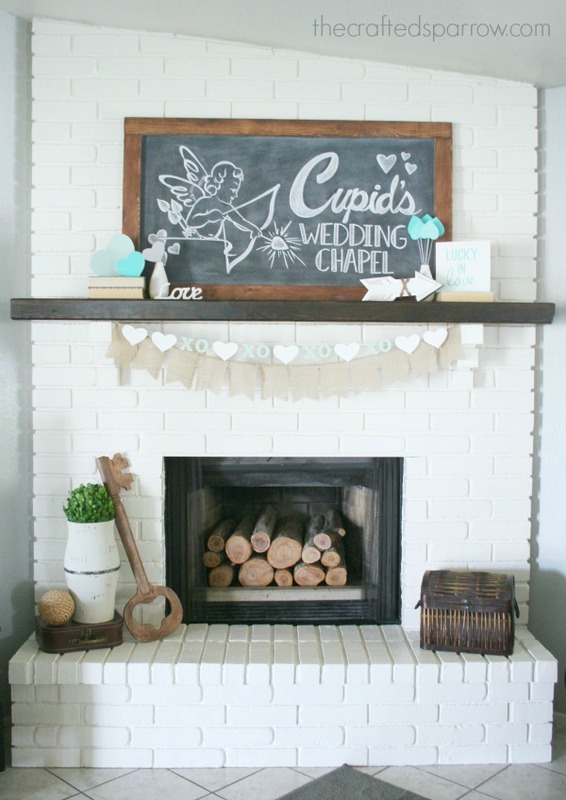 Such a great use of texture! Great work Rebecca!